NP0 Is the Way to Go! 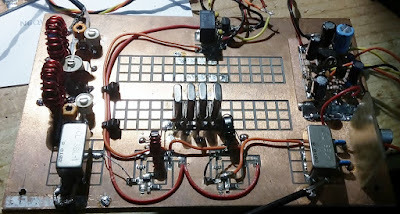 Much to the consternation of Pete "Digi" Juliano, I have been working on analog LC VFOs for simple superhet receivers. 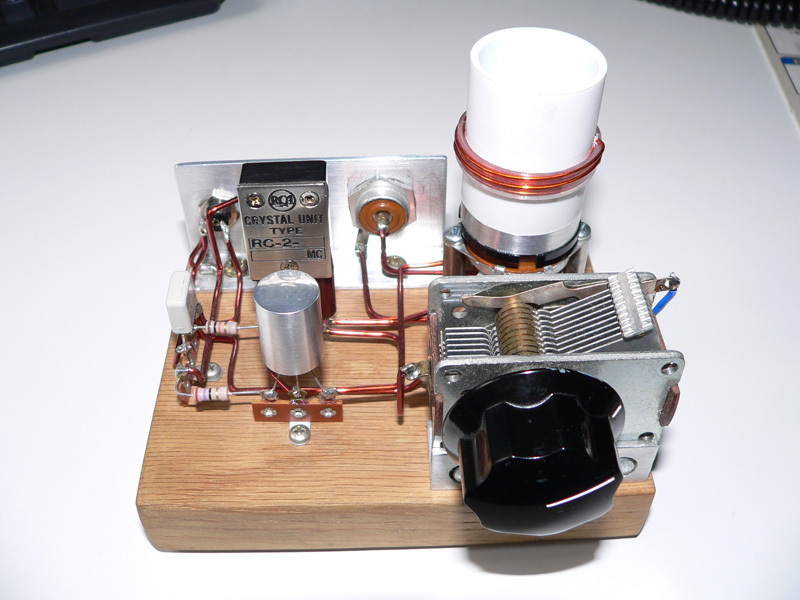 As described in earlier posts, I recently converted an old Barebones CW superhet to 40 meter SSB. At first, the VFO (2 -2.3 MHz) was not stable enough -- it would slowly drift in frequency. ("We have a solution for that," chuckled Pete.) My first effort at stabilization involved replacing the toroidal coil. The material in the core is sensitive to temperature changes and this can lead to instability. I found my traditional cardboard tube from a coat hanger, and made a coil of the needed inductance (you can see it in the pictures). This yielded some improvement in stability, but it was still drifting. Next I tried taking out all the silver mica and disc ceramic caps in the LC circuit of the oscillator and replacing them with NP0 ceramic caps. The feedback caps are in the box below the tuning cap, but you can see some of the little NP0s on the outside of the box, connected to a rotary switch. This serves as the equivalent of variable "Bandset" variable cap, with the tuning cap serving as the "Bandspread." I have seven switch positions, each covering about 40 KHz (with some overlap). This gives me all of the phone band and the bottom 30 kHz of the CW band. Switching to NP0 caps really did the trick. The receiver is now very stable. When I told Farhan about my VFO woes, he mentioned that he'd had very good stability results with surface mount caps. I wonder if this success has more to do with those caps being NP0 than with their surface mount configuration. NP0 Ceramic Capacitors are single-layer ceramic capacitors made from a mixture of titanates. A NP0 ceramic capcitor is an ultrastable or temperature compensating capacitor. It is one of the most highly stable capacitors. It has very predictable temperature coefficients (TCs) and, in general, does not age with time. NP0 stands for negative-positive 0 ppm/°C, meaning that for negative or positive shifts in temperature, the capacitance changes 0 part per million, meaning that it has a flat response across a wide range of temperatures; the capacitance of the NP0 capacitor stays constant (at the same value) despite variations in temperature. But I think it is a stretch to claim that these marvelous caps do not "age with time!" That would be a really astounding property of the titanium dielectric. That would be a Negative-Positive Zero FLUX capacitor, right? My wife and I went to see this flick about the mathematician Srinivasa Ramanujan. 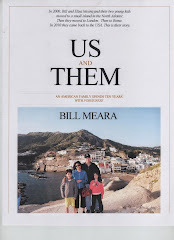 It was filmed at Trinity College, Cambridge -- if you look at the dedication to "SolderSmoke -- Global Adventures in Wireless Electronics" you will see a picture of my kids at Cambridge. Alas, that picture was taken at Kings College, not Trinity; nonetheless, the Cambridge connection got us interested. Then there was the Indian aspect of the story, which is very intriguing. There was also the "amateur makes good" angle that all of us should, I think, find very encouraging. The movie did not disappoint. We really liked it. The presentation of the cultural clash was very well done. Elisa told me that as she watched Ramanujan struggle with England, she found herself wanting to tell him, "You are just going through culture shock. Be patient! I've been through this many times!" They included just enough math to give the viewer a sense of what Ramanujan was working on. I got a real kick out of one scene in which old Professor Hardy, seeking to motivate young Ramanujan, took him into the Wren Library and showed him the manuscript of Newton's Principia. I had seen the same manuscript in the library of the Royal Society in London -- they had take it out on the occasion of the visit to the library of Stephen Hawking and NASA Director Mike Griffin. They also had on the table the reflecting telescope that Newton himself had made. That was quite a day. Great movie. I give it the coveted rating of five soldering irons. 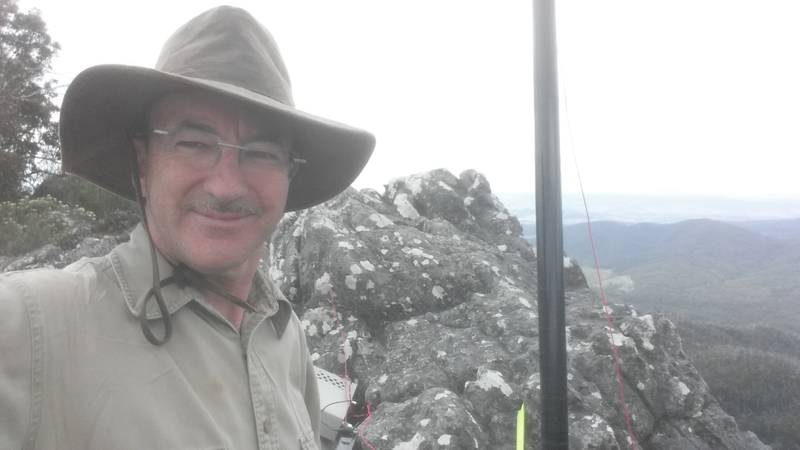 Great "QSO Today" Interview with H.P. Friedrichs AC7ZL -- "My nature is to build." Eric 4Z1UG has a really wonderful interview with H.P. "Pete" Friedrichs AC7ZL. Pete is the author of "The Voice of the Crystal" and "Instruments of Amplification." -- In describing his zeal to avoid the use of store-bought components, Pete acknowledged that there are limits to this. But then he revealed that his limits are different than those of even the most fundamentalist of homebrew fundamentalists: "Well, I'm not going to mine my own copper." Don't worry Pete -- no one will call you an appliance operator if you use store bought wire. 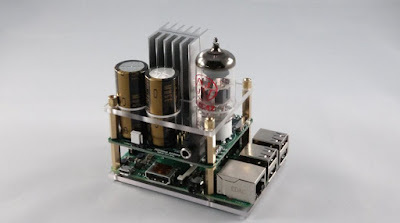 -- On the same subject, when describing his homebrew diodes for crystal radios, Eric asked Pete why he didn't just go out and buy a Germanium Diode. "That would be cheating," replied Pete. Indeed. -- "Obsolete technology often gets short shrift." --"My nature is to build." Wow, Rex Harper W1REX deserves some sort of big award. I hereby grant him the coveted Brass Figlagee with Bronze Oak Leaf Palm, but that is clearly not enough. Rex spent a month of 20 hour days putting together kits for the Four Days in May QRP event at the Dayton Hamvention. The results were spectacular: 246 hams succeeded in building QRP transmitters, and they all did it in under 70 minutes. And it was very nice that Rex did this as a tribute to Dave Ingram K4WTJ whose magazine articles about simple QRP rigs inspired many of us. Years ago, right after completing a homebrew QRP transceiver, I talked to Dave on 30 meter CW and told him that his articles had helped motivate me to build. Finally, no SolderSmoke post about Rex would be complete without a repetition of the video showing him transferring the prodigious mojo of the original Tuna Tin Two into my BITX-17 transceiver. Thanks for sending the video clip. It’s really made my day! I’ve sometimes wonder what I sound like at DX now I know. The IC7410 sounds quite respectable and the sending is reasonably decipherable. The signal seems to stand out well from the noise. Really well done. But then that’s what ham radio is all about. We all enjoy radio and we all like to enjoy the various aspects to the hobby. It would be good to have a QSO. perhaps some time soon? sTef DL1FDF/VY1QRP alerted us to this multi-band Michigan Mighty Mite beacon project out of Sweden. They certainly have some fine looking rigs! I remember reading an outraged letter in a stereo magazine back in the 80's, right after CD's came out. The writer had condemned a particular CD player for having a single digtal-to-analog converter that was time-shared between the two channels, consequently inducing an "unlistenable" phase error in the audio. 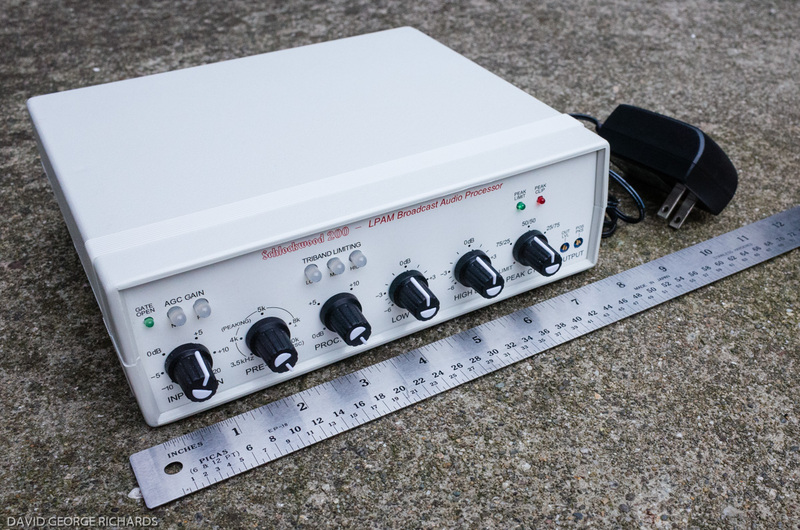 James Randi, magician and hoax-buster, had a standing offer of $1M to some makers of "paranormal" audio equipment, like $700/foot cable, if they could prove it was better in blind A/B testing. Nobody took him up on it. 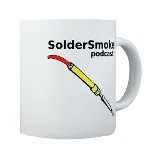 Second Anniversary of Pete Juliano's arrival on the SolderSmoke Podcast. -- S38-E The lipstick has worn off. Which LO to use for 40 Meters with a 5 MHz IF? 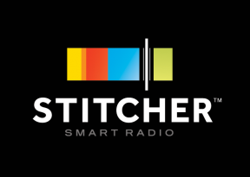 Sideband Inversion and "Lower Sideband" filters. I designed this thing during a family summer trip into Chile's beautiful deep south. The VFO part was designed on Chiloe Island, the IF and receiver circuit took shape at Futaleufu, Rio Cisnes, Puerto Aysen and Coyhaique, while the difficult RF power amplifier work was done on the return trip via Bariloche in Argentina. So this is an international design! Once back at home, for the first time in my life I did a thorough computer simulation of the whole thing. I hacked around the program for two weeks, and then my poor Atari had to spend another two weeks crunching numbers. It found some potential problems. I improved gain distribution, corrected mistakes, and then went straight to designing the printed circuit board, without doing any real-world test. 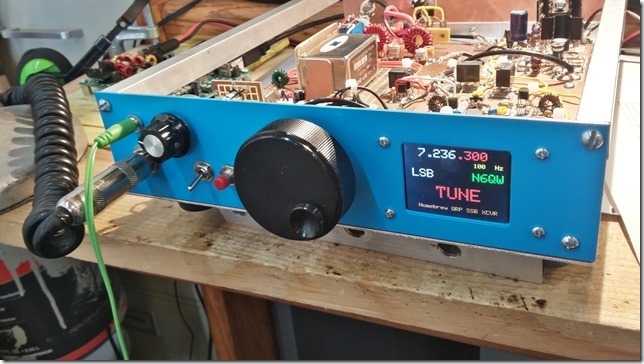 Paul VK3HN has obviously made an admirable effort here, and a visit to his very nice blog shows that he has a lot of true homebrew gear available. We hope that he will haul some of that HB stuff up the mountain, perhaps to find Peter Parker operating from the Melbourne pier with a Beach-40. As I type this I am listening to VK3IO on 40 meters, coming in nicely on my Barebones Superhet (kit version). setting, and to activate two Summits Of The Air (SOTA) peaks. standards but a good heart-racing climb through thick Australian bush. pleasant beach-to-summit ragchew QSO. The RF path is about 62 miles. your bench' topics for a full 20 minutes. Gods with a dubious claim. Yae-com-Wood is, to some, a form of 'handiwork'. 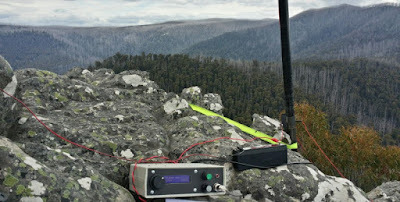 73 from down under, Paul VK3HN, with agreement to this claim from Peter VK3YE. 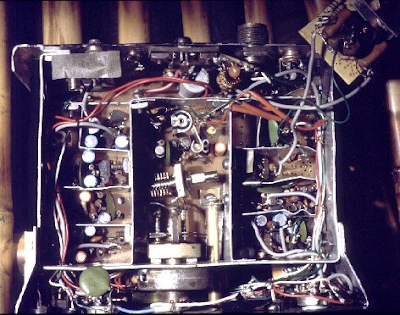 -- DeMaw presented the receiver in the June 1982 issue of QST. 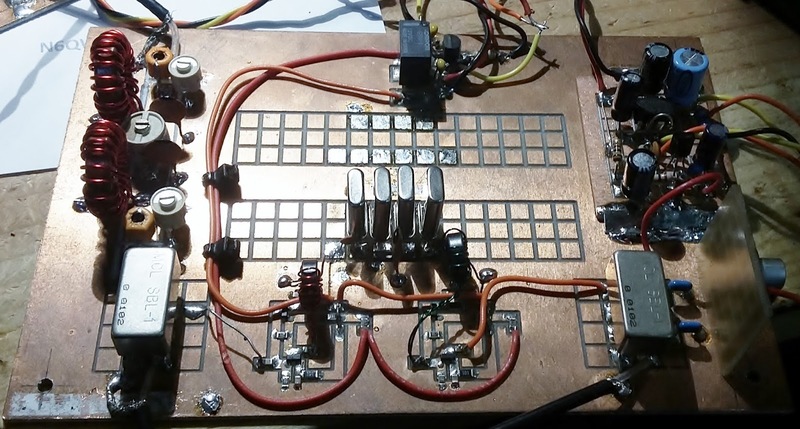 It uses six 40673 dual gate MOSFETS, an op amp for the audio, and a 250 Hz crystal lattice filter at 3.579 MHz using (YES!) colorburst crystals. The local oscillator was a VXO. Doug's was for 20 meters, but his article provided a lot of info on how to put it on other bands. -- Sometime around 2000 I bought another one. This one had been built on a FAR Circuits board by Dale Parfitt, W4OP. Dale had used 5 MHz rocks for the filter and had used a varactor tuned circuit for the LO (with a DC-DC converter to increase the range). I put it aside. It sat on shelves in several countries for a number of years. (I even have a THIRD one, a partially stuffed board that Michael Hopkins (the guy who wrote those great stories about Frank Jones coming back to life to retake the 5 meter band)). -- I started working on it again around 2005. We were in London by then. I put it on 17 meters using a capacitor-tuned VXO running up at around 23 MHz. I did a quick and dirty broadening of the crystal filter by simply changing the capacitor values in the filter. This worked, but obviously it needed refinement. As I asked questions about this receiver, Dale Parfitt came to my rescue. It took us both a while to realize that he was advising me on the receiver that he had built. That was kind of cool. -- I used the receiver with my first homebrew SSB transmitter. I had them both running with separate VXO's, with crystals switched from the front panels. I'm sure there were no other rigs like this on the air anywhere in the world. 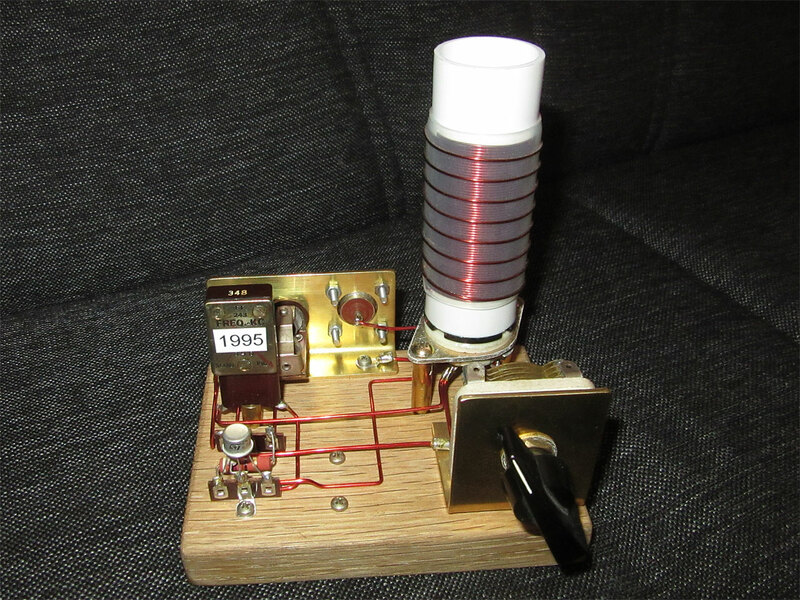 -- By 2011 we were back in the US and I put my old homebrew SSB station back on the air. It worked, but it looked hideous. -- By January 2015 I had learned a lot about how to characterize crystals and build filters. I decided to take a shot at properly expanding the frequency response of the 5 MHz Barbados filter. I measured the characteristics of the crystals and got the proper cap values for a 3 kHz filter. When I tested it, the width seemed fine, but the ripple was more than I had expected. Kind of disappointed I moved on to other projects. -- Which brings us to today. Escaping from the S38-E, I decided to put the Barbados receiver on yet another band. With sunspot numbers in decline, I opted for 40. And I wanted this to be an analog, L-C VFO project. No DDS, no PLL. It would be all L and C for me, thank you! First I played around with the idea of running the VFO up at around 12 MHz, subtracting the 7 MHz sigs to get to the 5 MHz IF. But then I did a sweep of the filter. First, there was a nice surprise -- the width AND the ripple were fine, just what I wanted (I must have had a measuring problem when I checked the ripple before). And the skirt was MUCH steeper on the high side than on the low side. This is why these filters are often called Lower Sideband filters. You get better opposite sideband rejection if you use them as LSB filters. With the skirt situation in mind, I realized that running the LO at 12 MHz would not be a great idea. Our rule of thumb tells us that if we SUBTRACT the signal with the modulation from the signal without the modulation, we'll get SIDEBAND INVERSION. So 7 MHz LSB would end up as 5 MHz USB. Not great. Plus, it is hard to get a VFO stable at 12 MHz. So I opted to run the LO at around 2 MHz. There would be no sideband inversion, and it would be easier to get the oscillator stable. Wary of the threat of harmonics and spurs, I ran the receiver for a few days using an Arduino AD9850 at 2.125 MHz - 2.300 MHz. It worked fine. I now have the receiver running with a real Colpitts VFO. The inductance is provided by an adjustable, shielded coil at around 1.5 uH (it was on the board) in series with a 3 uH toroid (type 6 yellow). The feedback caps are at 2200 pf with a 1020 cap in series. The main tuning cap is a small air variable with 73 pf max. This only lets me tune about 40 kHz of the band, so, in a variation on the old Main Tune -- Bandspread technique, I have a rotary switch that adds capacitance in parallel with the main tuning cap. I can now tune from 7.141 to 7.300. The tuning rate is fine and I didn't have to mess with a reduction drive. Kind of amazing that DeMaw designed this thing 34 years ago. A lot of soul in this old machine. The Solder Is Smoking at N6QW! It is very good to see the solder flowing again in the Newbury Park Laboratories of Pete Juliano, N6QW. Check out that postage stamp-sized display. I’ve been intrigued by Pete’s matrix pad method. Of course, few of us have the machinery to mill them as Pete does, but etching is a possibility. Now some of Pete’s boards clearly have a lot of noodling behind them. His boards are quite big with little areas of pads and space between. The layout for the whole project has clearly been considered in advance. I wanted a board that I could make modular, take little time to etch and adapt for the circumstances. These “proto-boards” are the result. 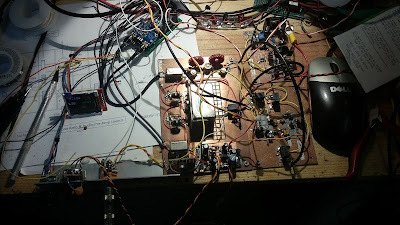 The project is Farhan’s “sweeperino” and one board is for the Si570, and the other the AD8307. The PCB method is pure Chuck Adams. His videos on YouTube describe the toner transfer method better than I could. The only difference for me is that my glossy paper comes free from travel agent brochures. Just express a passing interest in Viking River Cruises and you will never pay for PCB paper ever again! 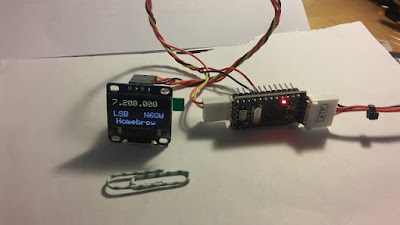 There is a free printing only version of the software I use, so if SolderSmoke listeners want to use the proto-board design, I will happily email them the files. I don't know what to say. One moment I find myself thinking that this could represent "the best of both worlds." A minute later I'm thinking that this thing is a horrible chimera. And it has a whiff of audio fool-ism about it, don't you think? Will it work better with oxygen-free cables and gold-plated fuses? Still, overall -- pretty cool. Oh man, we need more of these. Many more. Unfortunately, this may be the only one. I pulled this out of an old piece of mystery-gear given to me back in 1994 by my friend Pericles HI8P. Look at that: dual turning rates, solid construction, and very small. This device seems destined to go into my W4OP-built Barebones Superhet (in the background). I especially like the wood base and the transparent front panel. But we have to send Farhan a D-104! The BITX40 has a redesigned crystal filter at 12 MHz that contributes to a very clear signal. Note the clarity on SSB and the absence of noise due to the three poles of filtering. This was charminar net on May 2, 2016. I couldn't break-in. Probably because the tiny plug mounted mic was too far away from my mouth. That's the November 1976 issue, page 88. You guys know how it is: You get tired of struggling with an old piece of gear. You put it aside, thinking that you might never work on it again. But it sits there in the corner, sort of looking at you. A few days or weeks or years pass and you think, hey, I'll take one more quick look at this thing to see if I can get it going. That's what happened to me this weekend with the Hallicrafters S38-E. I hooked up the isolation transformer and put a fuse in the primary. I checked the wiring of my rewound antenna coil primary and found that I had connected it wrong. Duh. I then found that the antenna tuned circuit tracks fairly well with the tuned circuits in the local oscillator. I hooked it up to my 40 meter dipole and fired it up. As evening rolled around the shortwave bands started to perk up. The Chinese Broadcast stations were there, as was that fire and brimstone preacher Brother so-and-so. 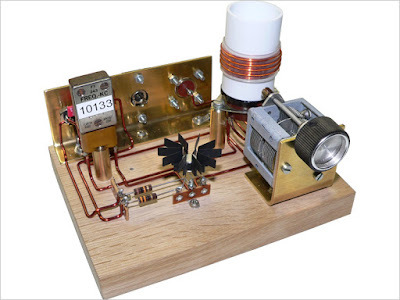 But then I tuned into Radio Havana Cuba and the guy was talking about homebrew shortwave antennas. Could it be? Yes indeed. It was Arnie Coro CO2KK. The Radio Gods had spoken! They clearly had wanted me to get this old rig going. I still have a few things to do: I need to fix the front panel light. I want to put in a three-wire (with ground) AC cord. Perhaps a real BFO (the original circuit seems to run out of steam with strong SSB signals). And I need to spruce up the alignment on the 1.7-5 Mc and 13-30 Mc bands. I think Pete and I may have been too harsh on this old receiver (calling it a pig with lipstick and all that). It is clearly not a great communications receiver, but it is nice for casual shortwave listening. Peter has been helping Jun JH8SST and other Japanese hams get their Si5351 synthesizers working with various displays. Jun has had some great success as you can see in the above video. I really like the combination of old (1625) and new (Si5351) technology.